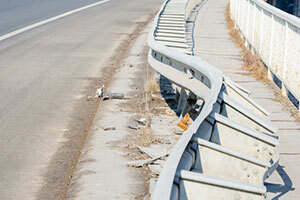 If you were injured in a bridge accident in Miami, we understand your sufferings. The Miami bridge accident lawyers at the Wolfson Law Firm know what people are going through after such events. If the accident was serious, you have ended in hospital in big pains and uncertainty about your health. If it wasn’t so serious, you stay on the scene of the accident and see how the other side lies about the accident. People know when they are responsible for something, but they always want to avoid paying their dues. If someone knows that the accident was their fault, they would do anything to avoid taking responsibility, mostly because they know that they would have to pay you compensation for the personal injuries you have suffered due to the accident. Insurance companies are not eager to pay either. They will likely offer you some form of settlement package to deter you from seeking what you deserve. Never accept their offers before speaking to a lawyer. It is likely an offer that is not good enough. When people or insurance companies have something to pay you, they will try to take advantage of you and avoid it. Therefore, you shouldn’t go through the damages recovery process alone. Our Miami accident lawyers have seen many good folks who tried to do it by themselves but regretted later. We can help you best if you call us for free consultations right from the beginning. We will investigate your case and let you know about your options. Reach us at 305-285-1115. Miami is arguably one of the US and world’s best-known cities. It is full of hotels, resorts, nightclubs, restaurants, casinos, and other entertainment spots which, together with the white-sand beaches and pristine water, make for a desired tourist destination. Miami has many neighborhoods. They include, Brickell, Allapattah, The Roads, Wynwood, Overton, Coconut Grove, Upper East Side, Little Haiti, Little, Havana, Coral Way, and others. Miami is surrounded by many cities that make up for the Miami metropolitan area. From the many of them, Miami borders with Miami Beach on the east, Hialeah, Miami Shores, and North Miami are on the north, South Miami and Coral Gables on the south, and Fontainebleau, Westchester, and Doral on the west. Our bilingual Miami bridges accident lawyers at the Wolfson Law Firm are available for help for all the good folks injured on bridges around Miami. It doesn’t matter whether you are US citizen or a foreigner, you have the right to get compensated for your injuries. Call us now for free consultations at 305-285-1115. We don’t ask for fees until we recover for you.